FBI Director James Comey, a man who has the distinct honor of uniting polarized Democrats and Republicans by nonpartisan hatred, has been “terminated and removed from office,” per a statement from the White House. The announcement came hours after CNN reported that Comey “erroneously” testified in Congress last week that former Hillary Clinton aide Huma Abedin had “forwarded hundreds and thousands” of emails to husband Anthony Weiner’s laptop. According to the FBI, Abedin forwarded only two emails. 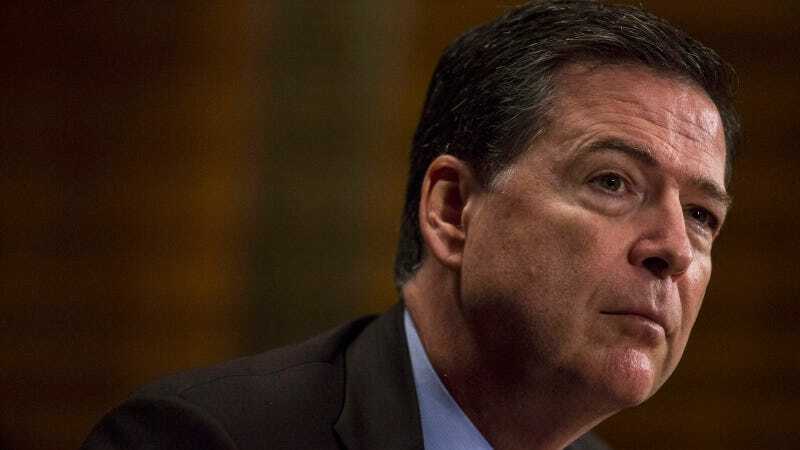 Comey, who interviewed Hillary Clinton over her use of a private email server for hours last July, later held an unusual press conference in which he called Clinton “extremely careless” but declined to press criminal charges. Then, days before the election, he announced that the FBI was re-opening an investigation based on emails found on Weiner’s laptop. Clinton has said that Comey’s announcement cost her the election. It should be noted that the Office of the Deputy Attorney General has not recommended the ouster of Attorney General Jeff Sessions, who lied about his ties to Russia under oath during his confirmation hearings.